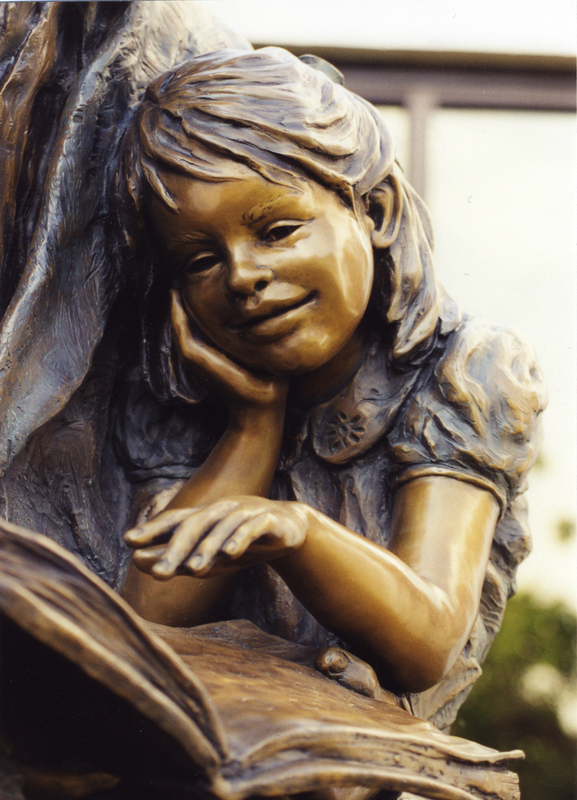 Created for libraries, parks, churches, or retirement centers, this sculpture captures a meaningful multi-generational relationship. 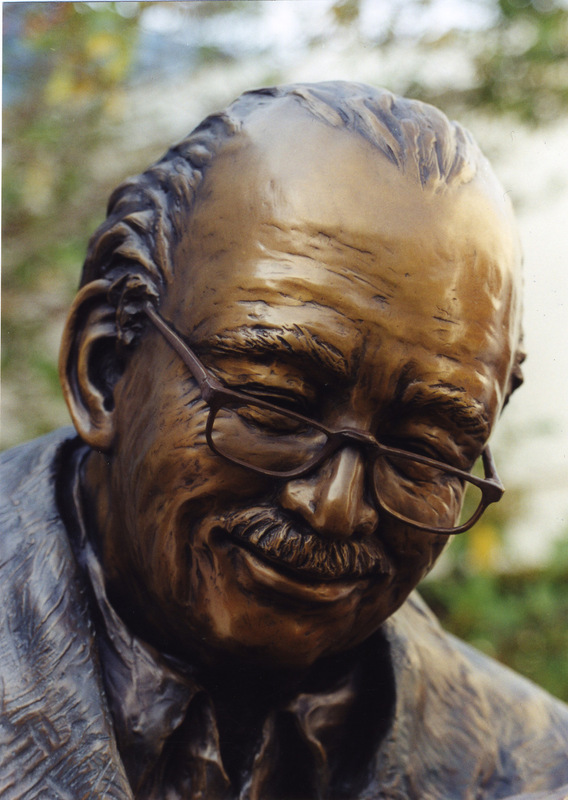 This life-size sculpture is recommended for placement at libraries, retirement centers, or organizations that work with retired persons and/or children. Note that any saying, poem, names, etc can be written in the pages of the open book. This is an aspect that can personalize the statue for the buyers or for its placement. This book can be thickened to represent the Bible.